Two-cylinder two-stroke @ 25HP with a thermo-siphon (no water pump). 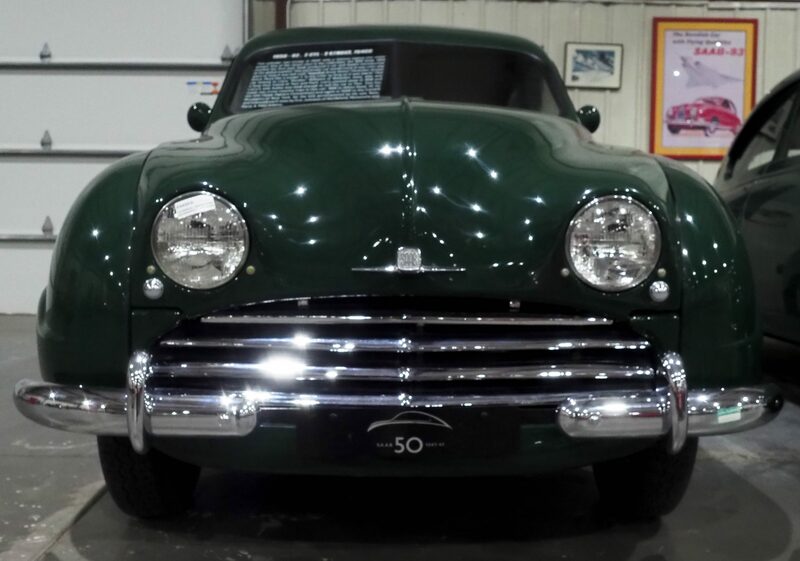 One of the rarest cars in the collection, the 1950 Saab. 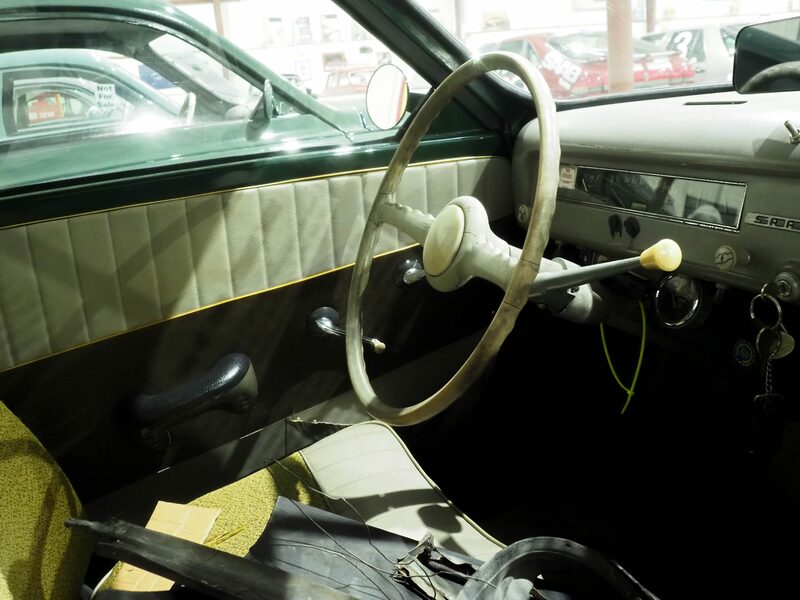 1950 marked the first year Saab produced a car and Saab’s introduction to the global market! 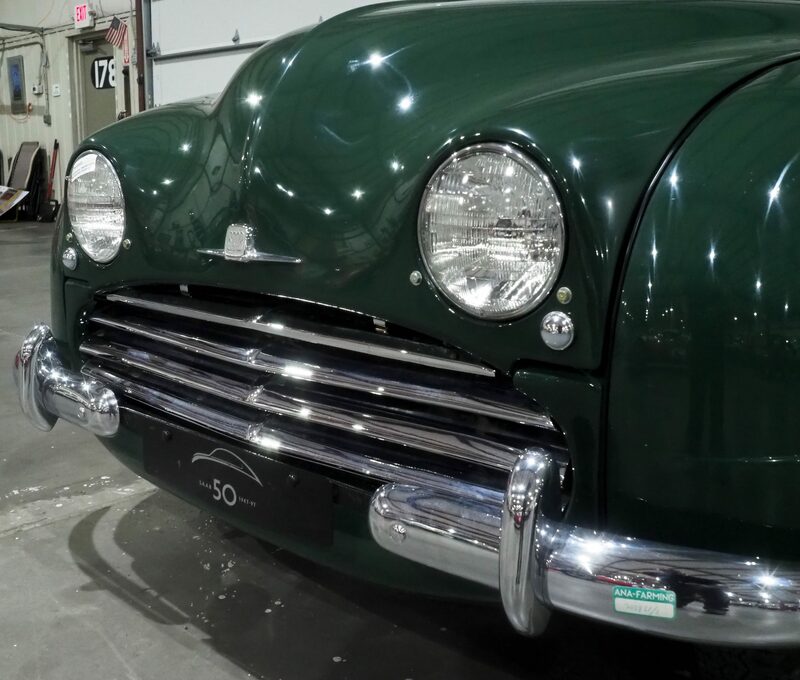 This particular car would come in any color you want as long it was left over ‘Swedish Army Green’ (Svenska Armen Gron). Much like a model-T, in any color as long as it was black! 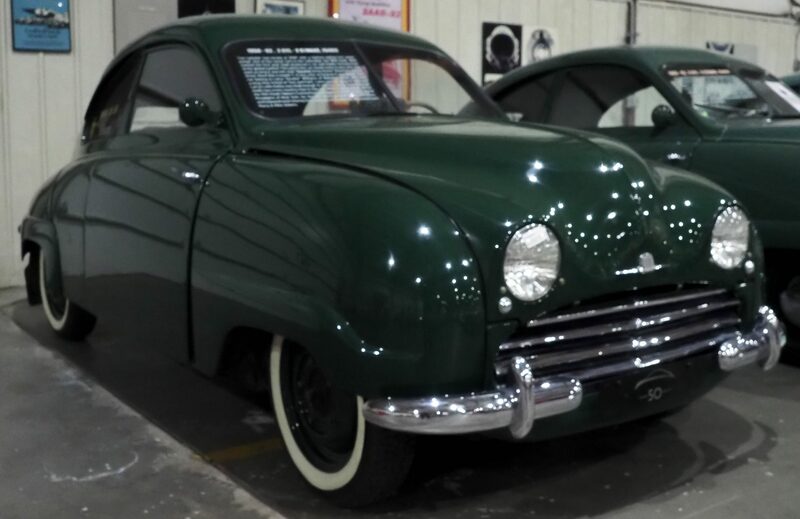 This car belong to Larry ‘Stroker’ Williams of Waterloo, Iowa, who was a long time friend of Tom and Patti. 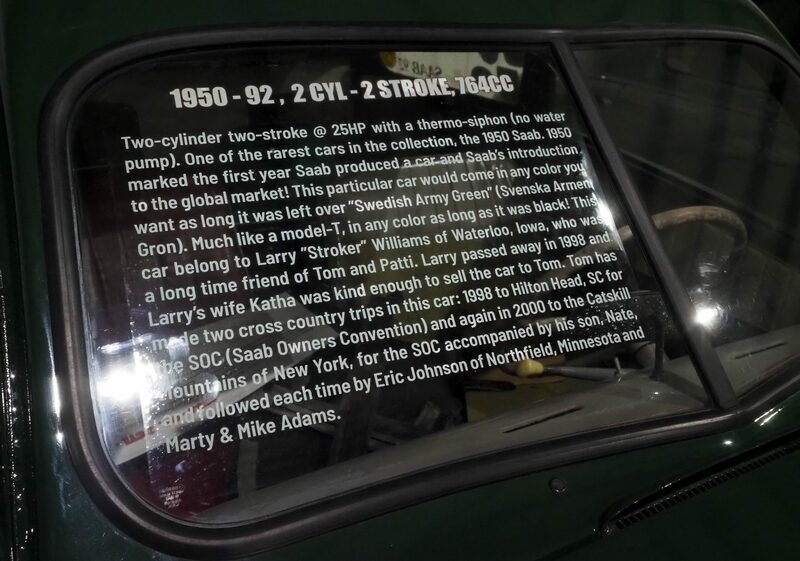 Larry passed away in 1998 and Larry’s wife Katha was kind enough to sell the car to Tom. Tom has made two cross country trips in this car: 1998 to Hilton Head, SC for the SOC (Saab Owners Convention) and again in 2000 to the Catskill Mountains of New York, for the SOC accompanied by his son, Nate, and followed each time by Eric Johnson of Northfield, Minnesota and Marty & Mike Adams.